Searching For Best Alternatives For Packaging For Food Products? Getting your food product packaged the right way holds a key to its freshness and durability. A sturdy and properly sealed pouch is all you need to securely encase the products, but what about the product appeal? Along with moisture and heat resistant packaging, attractive packaging is also necessary to make your brand have a noticeable mark in the supermarket and if you are someone who is in dire need of pouches that are ideal for branding of your food brand, then you have certainly landed at the right place! 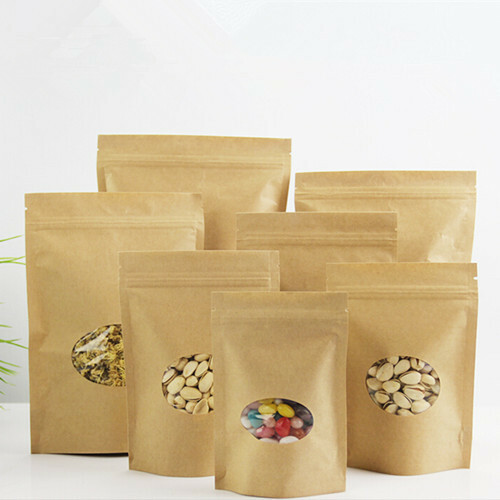 The first and foremost criteria of pouch selection for packaging for food products is to get your figures right. Examine the quantity and texture of the food product and then move ahead with your decision of selecting a pouch type. While stand up pouches are perfect choices for packing food grains, cereals, nuts and pulses; spout pouches are the ideal alternatives to pack powder or liquid food products such as syrup, sauces, jams and more. Printing and lamination of the food packaging pouch also needs to be taken into account. A creatively designed pouch with vibrant graphics will obviously grab the attention of the audience from a distance. Paras Printpack, being a reputed name in pouch packaging services can assure you of getting the best packaging results for your food brand at a fraction of price. Give a ring on 9810187055 to get expert guidance on designing and ordering custom designed pouches for your brand.